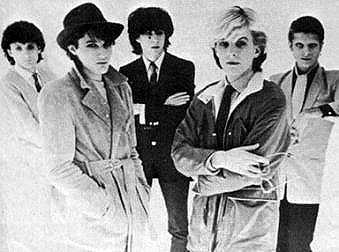 Formed in London in 1974, Japan began as a quintet comprised of singer/songwriter David Sylvian, bassist Mick Karn, (Karn was originally going to be the group's lead singer, but he got stage fright at their first gig and Sylvian stepped in to replace him), keyboardist Richard Barbieri, drummer (and Sylvian's brother) Steve Jansen, and guitarist Rob Dean. 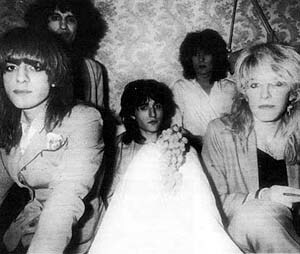 In their initial start, the group's sound and even image, emulated glam rockers like David Bowie; as well as Sylvian's over-the-top vocals, much alike those of Bryan Ferry from Roxy Music , formed frequent comparisons to both lead singers, as well as to the bands themselves. 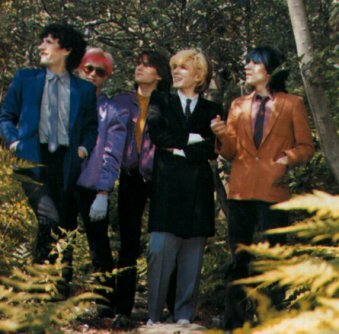 Duran Duran was heavily influenced by the band, dressing alike the style they held,and were technically both part of a league of bands, that became part of the "New Romantic" movement. Japan produced and made approximately 5 albums during their time together, but their final LP, "Tin Drum" (1981), unfortunately ended up being their last album together, and the members went on their own ways. 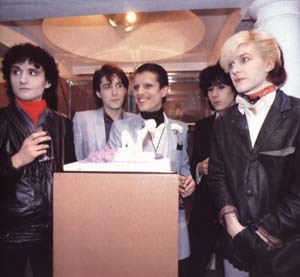 Most of the original members of the band went on to work on other projects. By far the most successful is David Sylvian,who has recorded several albums with noted performers throughout the years. 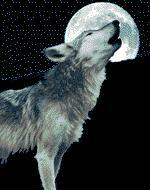 Who knows, maybe one day, they will allow us the pleasure of singing together again, even if only for a moment. Scary tho how much he looks like him, doesn't it?